Just as many states and cities are planning on tightening electronic cigarette regulations, Wisconsin could be planning to move in the opposite direction. A bill set before the Wisconsin Senate would update the language in Wisconsin’s statewide smoking ban to allow electronic cigarettes legal to use in public places. In Wisconsin, the state law isn’t clear on where e-cigarettes can be used. The state banned smoking in workplaces in 2010, before e-cigarettes became as popular as they are today. The law doesn’t clarify if e-cigarettes fall under the same regulations as tobacco cigarettes do. Just last month, the largest city in America took action to limit e-cigarette use. New York’s city council voted to extend its public smoking ban to include electronic cigarettes. Outgoing Mayor Michael Bloomberg is expected to sign the bill into law. New Jersey, Utah and North Dakota are among the list of more than 100 cities that have already added e-cigarettes into public smoking bans. State Senator Glenn Grothman, R-West Bend, introduced a bill last month that would ensure electronic cigarettes aren’t banned under the same regulations as conventional cigarettes. “We want to step in ahead of someone in Wisconsin doing what New York City has already done.” said Grothman. Grothman’s bill is currently being worked on by the Senate Committee on Judiciary and Labor. Grothman chairs the committee and hopes the bill makes progress early this year. write a little comment to supplort you. 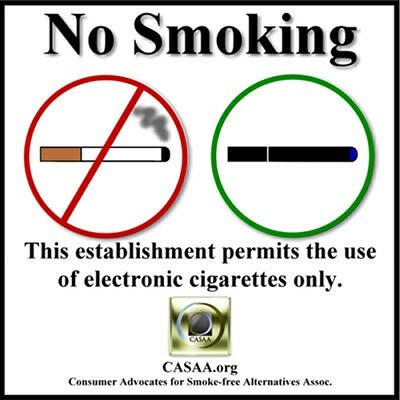 Now that we learned that e cigarettes are a health hazard, that was a no brainier, will you finally ban it from public places? Reading the article I can’t believe our state motto is forward. Can you do us a favor and ban regular cigarettes from outdoor public locations? I hate having my kids breath second hand smoke while waiting to see fireworks outside on the fourth of July. People have no regard to others around them outdoors! I agree with you. I quit smoking 5 years ago (regular cigarettes). Trust me I did and still do believe that people have the right to make their own choice when it comes to whether or not to smoke and I can’t say that I always agreed with all of the laws imposed on smokers. However, when I was a smoker I was always very conscious of who was around me when I lit up. I would never smoke while in an enclosed area, when there were children around. If told it bothered someone, I would put it out or go outside and I thought I was a very considerate smoker. But where do we draw the line? Are we, at times, trampling on the rights of smokers? We are a nation that prides ourselves on our freedom and an individual’s rights, so where do we set the limits? One of the reasons I wrote this article is because I figured it would be very interesting to hear other peoples’ opinions on this issue. Thank you very much for taking the time to share your opinion with me, I really appreciate it. I hope we get more people to do the same. Where did you hear that e-cigarettes is a health hazard Richard? If it where true, it would be all over the news and the e-cigarette forums. While I have nothing against banning vapor, but not having anyplace to vape is also wrong. And Richard, you expose your kids to exploding fireworks? You know how many are harmed or worse each year from fireworks? And fireworks is even dangerous to professions too. As they too sometimes end up in the hospital or buried 6 feet deep. Thank you very much for taking the time to read my blog. I really hope you found my articles useful and that you’ll come back again and share your thoughts.